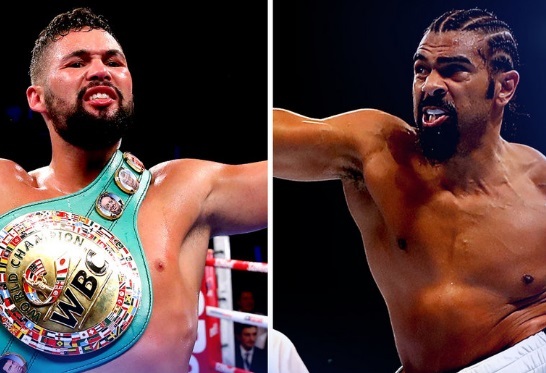 David Haye takes on Tony Bellew in what will be a highly anticipated PPV fight in the United Kingdom set to take place on Saturday, 04 March 2017 at the 02 Arena in London. The build-up to the fight has been explosive and SkySports are hoping to generate record PPV numbers in what is hyped as a grudge fight between two big cruiser weights. Eddie Hearns has expressed delight over early PPV numbers and both Haye and Bellew will get a decent purse from this fight. David Haye vs Tony Bellew Purse: Tony Bellew is all set for his career best purse where he is guaranteed to walk away with atleast £2.5 million. His earnings from the fight night might reach upto £3 million in total depending on the outcome of PPV numbers & sponsorship deals. David Haye on the other hand is also guaranteed £2.5 million but set to clear more with his one-off tier based PPV deal with SkySports and number of sponsorship deals. Tony Bellew’s previous best purse was against Nathan Cleverly rematch where he made just under a million pound. His most recent fights against Ilunga Makabu and BJ Flores were pretty underwhelming and he hardly made £1 million combined from those two fights in 2016. David Haye on the other hand had major paydays in the past, most notably that Wladimir Klitschko fight where he made over £10 million. While other notable fights against the likes of Dereck Chisora (£3 million), Audley Harrison (£5 million). His most recent outing was against a Arnold Gjergjaj where he pocketed surprising £1 million purse while his comeback fight against De Mor earned him respectable £500,000. Haye is a PPV star and another solid win against Bellew will put him back in the contention for some super fights against the likes of Joshua, Wilder or even rematch against Klitschko. This site is mental, “another solid win against Bellew” when was the first solid win? Also, what part of Klitschko being retired do you not understand, so its quite hard for him to have a rematch.